Space, the final frontier. These are the voyages of… me. All thanks to The Starfleet Academy Experience, an interactive exhibit making its world premiere at Ottawa’s Canada Aviation and Space Museum on May 13. Each section has an interactive component. My first test: to learn basic Klingon. My video instructor was a surly Klingon who tried to teach me multiple words, including “Heghlu‘meh qaq jajvam,” which means “today is a good day to die.” After each lesson, the program tested my pronunciation, and I’d receive a surly yell of “incorrect, try again!” from my agitated new friend. (So, I received an F in communications, but there’s hope for my marriage). 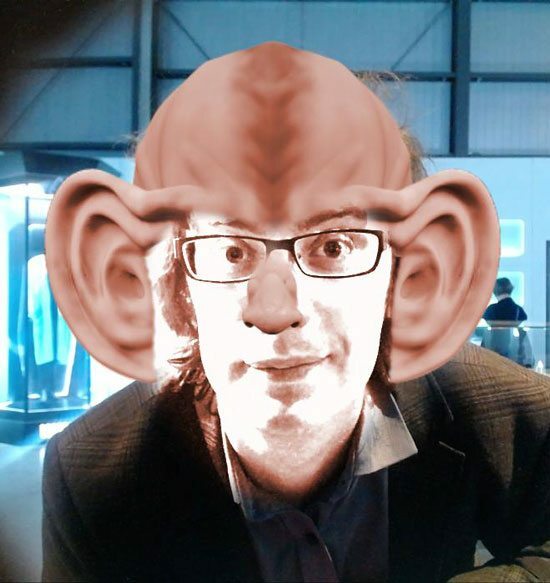 Our writer is transformed by The Starfleet Academy Experience at Ottawa’s Canada Aviation and Space Museum. I held a tricorder unsteadily over the body of a mock Klingon patient. After the language debacle, I half expected the dummy to come to life and throttle me. 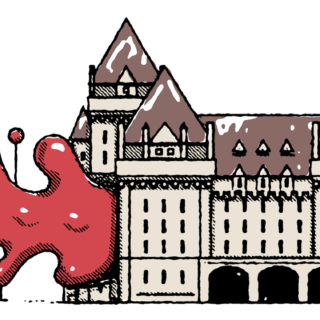 Based on the scanner’s results, I was asked to make a diagnosis — even though my patient had extra body parts (including eight heart chambers and two livers). I won’t spoil the fun, but let’s just say I was wrong twice before I got it right. Exhibit curator Erin Gregory assured me later that Klingon patients are notoriously “difficult.” Indeed. The console in Science forces you to choose your own planetary adventure: In order to make an emergency landing, you have to pick a life-supporting crash pad for your crew. This is where my geekdom shone through, as I actually know Star Trek’s planet classification systems. My first pass!!!! “Humanoids can survive on this planet,” I’m told. I’m also informed that my crew survived until rescue by eating frozen plants, drinking melted snow and hunting. I’m sure they’ll thank me later. Who hasn’t wanted to use a transporter to beam down to another planet? The exhibit’s spherical glass pods and video monitors almost bring the magic to life (as you can see in the video above). My only disappointment was finding myself still on Earth. The mock bridge at the Starfleet Academy Experience. The section tests your ability to plot a course to a debris-clear “warp zone.” During my simulation, I managed to evade enemy ships, planets and giant asteroids — though I missed one planet by inches. Maybe I’d be better off in security? The Security zone is a place for video gamers to shine. The phaser simulation finds patrons pointing a phaser at a screen, and testing their marksmanship on moving, coloured targets. Some required a quick hit for destruction — others a prolonged attack. I scored 25, which could probably be bested by the average toddler. 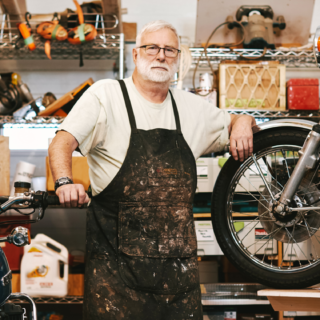 “Maybe security isn’t for you,” Gregory admits. Finally, I sat on a “real” Starship bridge for a command simulation called “the Kobayashi Maru.” The scenario involves trying to rescue the 300-person crew of a critically-damaged Starfleet ship while your own is under attack by three Klingon vessels. Gregory describes it as “putting a captain in an impossible situation.” Tactics include evade, attack and rescue. I manage to save 10 people — and disable one enemy cruiser — before smoke rose from my hull and a massive fireball appeared on my screen. Thus ended my short-lived captaincy. In each section, patrons can also take a quiz to determine their best role in Starfleet. 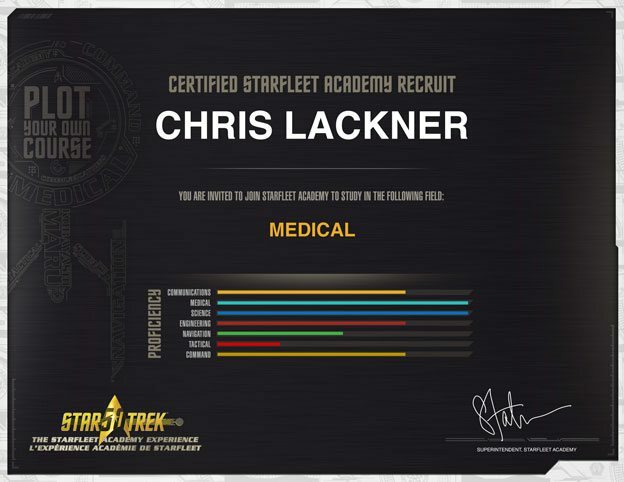 It includes questions like, “You learn your new crewmate is an android, how does this make you feel?” My certificate of completion earmarked me for a medical career. Given my non-existent real-world math and science skills, Starfleet may want to consider raising its standards. Overall, the exhibit offers enough to please Star Trek fans, casual observers and the curious. They can also check out memorabilia, from costumes and a life-sized photon torpedo to tribbles (trouble!) and phasers. There’s even the head of a Data android prototype from Star Trek: The Next Generation. 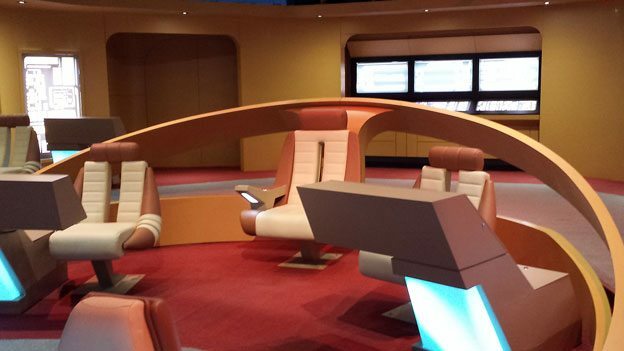 Have you ever wondered what it’s like to sit in the captain’s chair on the Enterprise? Then beam yourself up to the Canada Aviation and Space Museum. 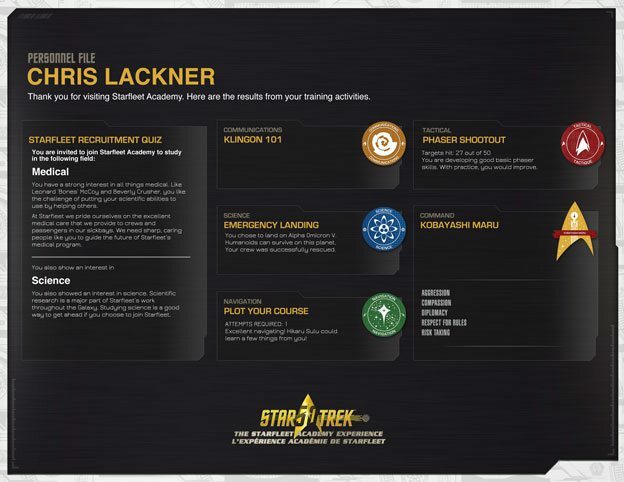 The Starfleet Academy Experience runs to Sept. 5.